Hello wonderful fans of Gamelyn Games! We some exciting news.... 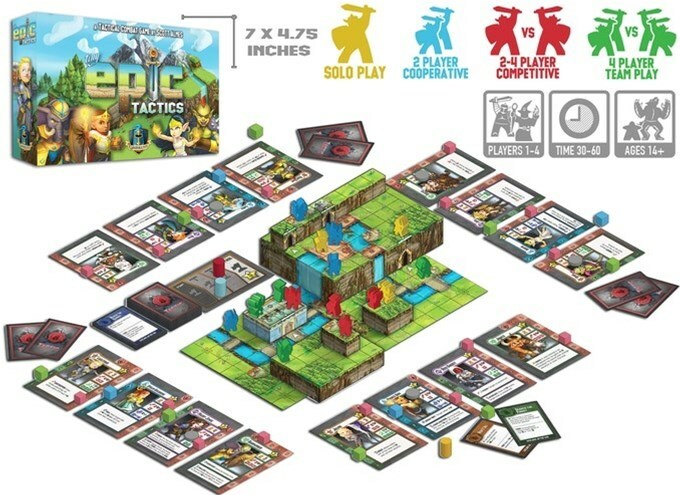 The Tiny Epic Tactics Pledgemanager is now open!!! Click the Pledge button below and you can have access to this awesome game and add on any other Gamelyn Products your heart desires! Heroes of Land Air & Sea Bundles at 25% off MSRP! Tiny Epic Game Haul Carriers! All the Tiny Epic Games are available! Did you know we released a playmat design for Tiny Epic Tactics? There is an image in the Pledgemanager! Thank you to all of our wonderful fans for your support of Gamelyn Games. It means the world to us.